I have always been in love with the whole beach waves look and last night I discovered a brilliant trick! I’ve tried curlin tongs, crimpers, rollers, heated rollers and curling with straighteners but nothing rely have me that perfect soft wave. Then I remembered when I was little, my mum would put my hair in French braids when wet before bed and she used to say “when you wake up you will have pretty princess hair!” Well, it never happened! Just had weird looking servants hair full of kinks! So I thought maybe the reason being was because it was wet, she never tried it dry! So I tied my hair into 2 tight plaits and slept on it (my boyfriend thought I was going mad). When I work up I untied my hair and brushed through it and ta da! It worked, so happy! Aw, it looks so cute! I’m always look for alternatives to curl my hair since it’s so damaged. I’ll give this a try, btw your lashes are so long! I’m so jealous! I do this 😀 but I spray it with a little water again before plaiting. Another thing you can do if you have loads of time is do tight curls with a straightener the night before, then plait them over night, and it keeps the curl in, but makes it bigger and wavier by morning. I can’t believe I didn’t think of it before! That’s a great idea! 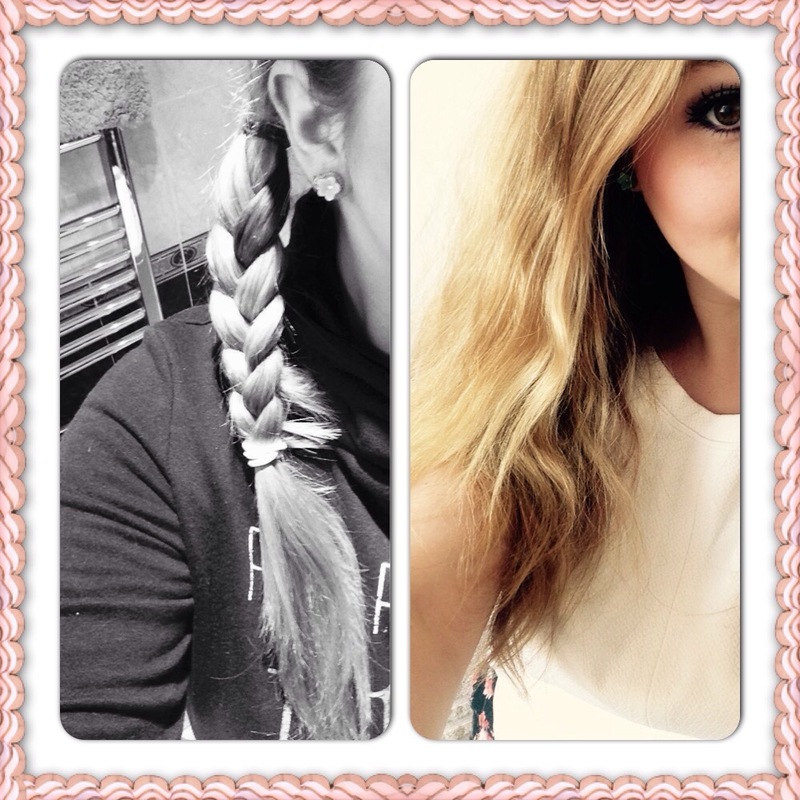 I out the salt spray really did help too, and spraying the plaits with hairspray for super staying power!